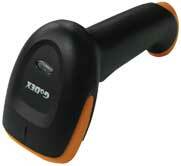 Listed below are some of the main Godex Thermal Barcode Printers supplied by Trade Scales Limited. 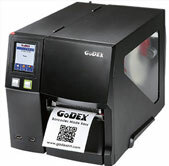 The Godex printers offer a more unique feature in the standalone printing function allowing label printing without being connected to a computer. Please contact us for more information on this particular feature. 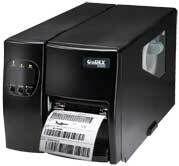 Godex printers are supplied with a full label design software at no cost. Godex International is very proud that several of their products have won the Taiwan Excellence Award, see here for more information on this achievement. As of August 2015 the following printers have also been certified with Energy Star compliance: G300, G500, RT700, RT730, MX30, MX30i and DT4. See here for more. The information provided here is indicative of some of the main models we offer from Godex, but by no means are we limited to these. The DT2, DT2x, DT4 and DT4x desktop printers are ideally suited for medium volume printing applications. They are simple and economical direct thermal printers that have a small space-saving design including a wall mount feature. They have standard USB 2.0, DB9 Serial port and Ethernet connections. A free USB cable and sample media is included with every printer. Options include: label dispenser, and guillotine cutter. 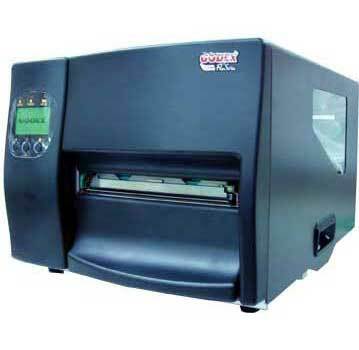 The DT2 and Energy Star certified DT4 printers are now available on a project basis only. Click here for more (DT2 / DT4). Click here for more (DT2x / DT4x). The small footprint of the 2" wide RT200 is the perfect solution when space is tight and value is important. The standard USB, Serial and Ethernet interfaces add flexibility and power, and the full range adjustable sensor enables printing on small and difficult labels. The performance enhancing features, including the colour TFT LCD screen and operating screen, the standard USB, Serial, Ethernet and USB host interfaces make the RT200i the most powerful 2" printer. An economical 4" thermal transfer desktop printer with a 110m ribbon capacity, the G300 is perfect for all your light to medium duty thermal transfer barcode printing applications. With Ethernet, Serial and USB interfaces and using standard low-cost ribbon and labels, the G300 flexibility and value in a small footprint package. The 'twin sensor' technology featured in the G500 printer allows you to use a wide range of labels. Coupled with the strong, stable mechanism design and 300m ribbon capacity the G500 label printer offers the user long term reliability and peformance. 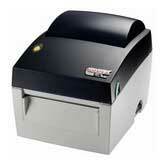 The RT700 is an advanced multi-purpose 4" printer recommended for retail and industrial applications. "Twin Sensor" technology coupled with the rod-less label roll holder allows the use of, and eases loading and smooth feeding of a wide range of labels. The simplest solution for the most demanding fine printing jobs, the RT860i has small footprint with excellent printing results. The world's most comprehensive compact 600 dpi desktop printer, the RT860i is a perfect companion to deliver fine quality printing at a superb value. Ethernet, USB, Serial,and Parallel Ports Standard for easy integration and 3.2" color LCD panel for ease of use. The EZ2050 combines affordability and performance with an all metal industrial enclosure and print mechanism, plus easy to change low cost printhead assembly. USB, Serial and Ethernet are standard interfaces. The EZ-2000 Plus series is a 4" industrial barcode printer offering Serial, USB and Ethernet as standard interfaces . It has a multifunction panel with back-lit LCD display for easy user interface and operation, bundled barcode QLabel Software for easy label design and database integration, and automatic self adjustment for coated inside/outside ribbons (CSO/CSI). Options include: WLAN interface, Parallel, Rotary cutter, Peeler and Internal rewinder. A mid-range industrial barcode printer offering an all metal mechanism design featuring die-cast center plane and base, colour TFT LCD screen and operating panel making the EZ2250i series perfect for high volume applications. USB, Serial, Ethernet and USB host interfaces offer flexibility and stand alone operation. 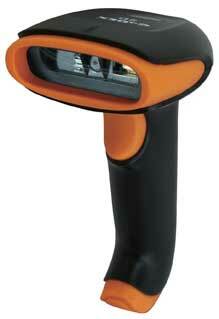 A new generation, high efficiency, industrial barcode printer with large interactive touch screen. Multiple interfaces with three USB hosts (front & back). All new compact and robust steel design that fulfills your most demanding printing needs. Super-fast print speed (up to 10 IPS). Available in 203dpi, 300dpi and 600dpi. Optional Ribbon Rewind Module allows easy and fast ribbon replacement. More information here. 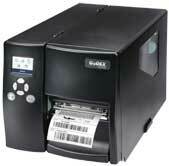 The EZ-6000 Plus series is a 6" simple and economical industrial barcode printer. It has a multifunction panel with back-lit LCD display for easy user interface and operation, bundled barcode QLabel Software for easy label design and database integration, and automatic self adjustment for coated inside/outside ribbons (CSO/CSI). Options include: WLAN interface , Parallel, Rotary cutter, Peeler, Unwinder and rewinder. from mobile applications in retail / warehouse & storage / parking receipt industry and many more. 203dpi resolution with a long standby time of up to 72 hours or 300 label cycles between charges. 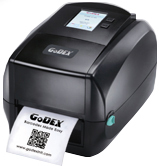 GoDEX MX30 & MX30i Mobile Printer is powered by Lithium-ion battery for longer uptime, along with water / dust resistant and shatterproof design. MX30i has an embedded OLED panel to display messages.The MX30 & MX30i series fit 1.5” to 3” label roll and are powerful tools for retail / storage / parking lot applications. A cost effective high performance 1D/2D barcode scanner with outstanding performance, ergonomic design and optimum functionality, the GS550 meets the demands of a wide variety of applications. 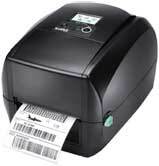 It supports both handheld and presentation scanning modes and is able to read both 1D and 2D barcodes on paper or even on an electronic screen. 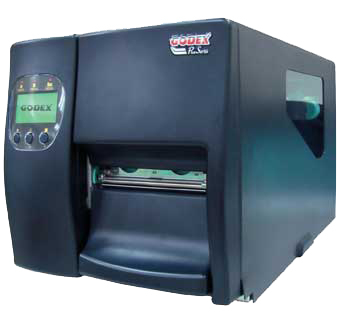 The stylish but rugged Godex Rewinders offer long term reliability, a modular core adaptor, coloured LED indicator for operation status and a rewinding direction switch allowing for winding "inside or outside" label rolls. Smaller printers can only hold a limited number of labels. 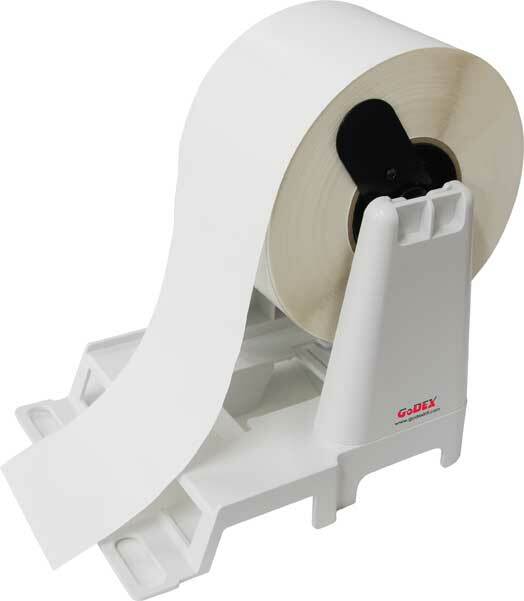 An External Roll Holder instantly increases your capacity to use large rolls of labels as needed. Made from injection molded plastic the External Label Roll Holder works with all of the Godex printers, with a maximum label roll-up of up to a 10" diameter. It works with 1-inch to 3-inch inner core diameters, and can be used with labels that range from 1 inch to 4.5 inches in width. Assembly is quick and easy, requiring no tools. Trade Scales Limited has amassed considerable experience with thermal label printers and our service work is second to none. 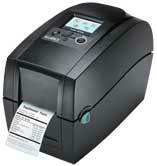 Our fully qualified technicians are available to install, service and repair all types of thermal label printers. 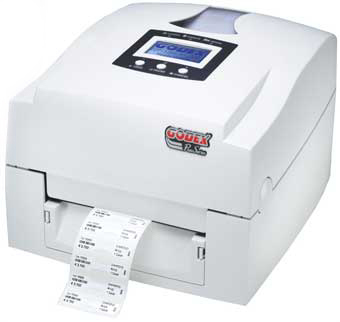 We are the preferred after sales service provider to the official thermal label printer distributors of Godex, Zebra and Datamax / Meto in New Zealand and also provide hardware support services to all the major hardware distributors, label manufacturers and ribbon suppliers. We are able to service most brands of label printers, including Intermec, Tec, Tharo, Sato, Eltron, Printronix, and Argox. Having your thermal label printers serviced and tested at regular intervals can greatly reduce the possibility of breakdowns which cause disruptions to normal business and can cost you money. Over 20 years of experience, knowledge and expertise guarantees you fast, accurate support and quick turnaround times on repairs. Our service personnel are continually trained and certified and this ensures they are always up to date on all products so you receive the best support possible. Prevention is always far better than cure. To maximise the performance and longevity of your thermal printheads, we recommend a regular cleaning schedule using 99% pure isopropy alcohol wipes. Using a product with less than 99% isopropyl alcohol contains too much water and can cause damage to the printer. For thermal transfer printing, clean the printhead and platen roller with each ribbon change. For direct thermal printing, clean the printhead and platen roller with each new roll of labels. Contact us for more information on our IPA Wipes, available in packs of 25, 50 and 100. Material safety data sheet is available if required.